Conversations with five New Zealand Prime Ministers. Guyon Espiner; Tim Watkin. $39.99. In search of a God who speaks. How Western Christians Should Follow an Eastern Rabbi. 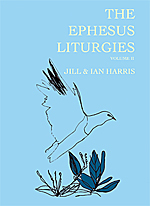 The Ephesus Liturgies – Volume 2. The Shocking True Answer to the World’s Most Important Question. 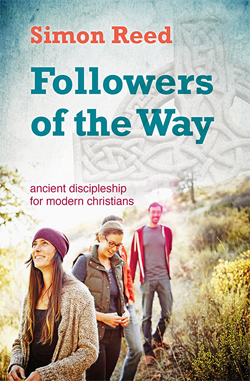 Ancient discipleship for modern Christians. — 7 book boxed set. The 9th Floor: Conversations with five New Zealand Prime Ministers. Guyon Espiner; Tim Watkin. Pbk 240pp. ISBN. 9781988533223. Bridget Williams Books (2017). $39.99. [Allow 7-10 days]. Based on the acclaimed Radio NZ podcast series, and including new material, The 9th Floor presents in-depth interviews with five former Prime Ministers of New Zealand. 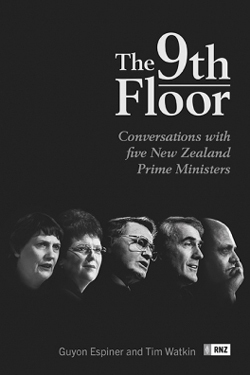 Geoffrey Palmer, Mike Moore, Jim Bolger, Jenny Shipley and Helen Clark reflect on their time occupying the prime ministerial offices on the 9th floor of the Beehive. Their recollections amount to a fascinating record of the decisions that shaped modern New Zealand. That Other Voice: In search of a God who speaks. 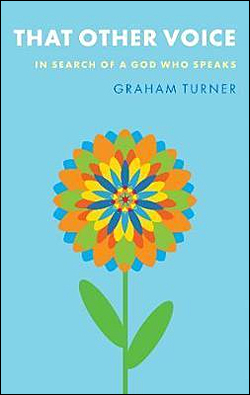 Graham Turner. Pbk.192pp. ISBN 9780232533279. Darton Longman Todd (2017). $36.00. [Allow 2-3 weeks]. The story of a journey, by Graham Turner – a senior journalist for 50 years – in search of an answer to the ultimate spiritual mystery: whether God, or a higher power of some kind, can communicate with us directly. His quest took him to many parts of India and to Jordan, and across Britain, and included conversations with the Dalai Lama’s brother in his Himalayan home, former Archbishop of Canterbury Rowan Williams, a community of Sufi Muslims, a Hindu orthopaedic surgeon, and with leading Rabbis Lord Jonathan Sacks and Jonathan Romain. His answer would be found much closer to home. The Forgotten Jesus: How Western Christians Should Follow an Eastern Rabbi. Robby Gallaty. Pbk. 208pp. ISBN 9780310529231. Zondervan (2017). $35.00. [Allow 2-3 weeks]. 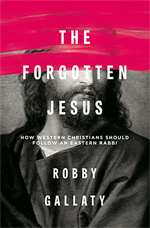 Trading the popular, but inaccurate Western perspective of the Bible for the context in which Jesus actually ministered in 2000 years ago, Gallaty reveals the fascinating Hebraic culture, customs, and nuances few Christians have experienced or learned about. The Ephesus Liturgies – Volume 2. Jill & Ian Harris. Pbk. Spiral bound. 118pp. ISBN 9780994123732. Makaro Press (2016). $35.00. [Allow 7-10 days]. The Ephesus Liturgies grew out of the life of Ephesus, a group of 30 people who have been meeting in Wellington since 1990 to explore new ways of understanding and expressing Christian faith in an increasingly secular world. Building on the original concept of ‘liturgy’ as meaning ‘the work of the people,’ the Ephesus community has worked to develop a form of worship that seeks to make sense of modern human experience while drawing on shared traditions of faith and worship. There is also a wish to celebrate both the natural and man-made world while envisioning change, and to strengthen community by raising to consciousness a transforming power. 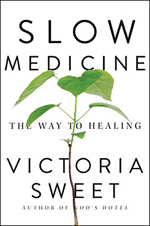 Slow Medicine: The Way to Healing. Victoria Sweet. Hbk 304pp. ISBN 9781594633591. Riverhead Books (2017). $49.99. [Allow 2-3 weeks]. A doctor dissatisfied with the modern delivery of health care details how she developed her ideas about how medicine should be practiced. 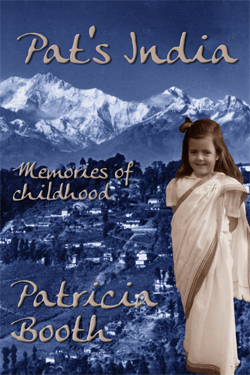 “Sweet a physician, historian, and master storyteller, has provided an autobiographical prequel to God’s Hotel (see our Oct 2017 selection), recounting her years in training to become a doctor and her early experiences treating patients. The moments she highlights here are those that revealed some aspect of what she calls Slow Medicine. Sometimes, it involves nurses and doctors showing calmness, confidence, expertise, and a personal touch; sometimes, it is patients whose treatments provide revelatory moments. Sweet recalls scenes from years ago in full detail, describing settings, physical appearances, and lengthy conversations. These personal scenes, which constitute the bulk of the book, make for a highly readable narrative. 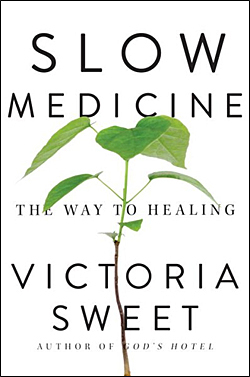 While the author appreciates the world of modern “Fast Medicine,” with its logic, methods, and technology, she argues that its view of the body as a machine to be fixed would benefit from a consideration of the body as a garden to be tended. Taking time out from clinical work, Sweet studied other medical systems: ayurvedic, Chinese, folk, and especially the writings of Medieval nun Hildegard of Bingen. The author learned Latin so she could read her work in the original, and it is from her that Sweet takes the concept of viriditas, the healing power of nature. Live, Listen, Tell: The Art of Preaching. Geoff New. Pbk 80pp. ISBN 9781783681624. Langham Creative Projects (2017). $26.99. [Allow 2-3 weeks]. This book guides readers through the process of sermon preparation and hearing God through the Scriptures. By drawing on life and Scripture, especially the road to Emmaus narrative in Luke 24, the author illustrates that preachers are living a story, listening to a story and telling a story. 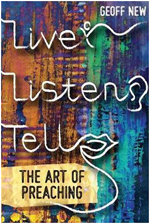 This book encourages you to pay particular attention, through prayer, to the story to which you are listening. Geoff New shows how to prayerfully listen to the Scriptures in preaching preparation and how the fruit of this leads to a sermon – and impacts the way we live, listen and tell. “What Geoff New offers in this book is a crucial but oft-neglected step in the process of sermon preparation. Preachers first need to hear God from the text for themselves, something that many homiletic books assume but seldom give guidance on. Geoff New takes you step-by-step from listening to God through lectio divina and Ignatian Gospel Contemplation to formulating a sermon outline. This will change your sermon from merely transmitting facts to transforming lives by enabling others to listen to God as well.” Rev Dr Maggie Low, Trinity Theological College, Singapore. 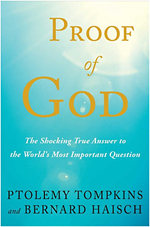 Proof of God: The Shocking True Answer to the World’s Most Important Question. Ptolemy Tompkins; Bernard Haisch. Pbk 249pp. 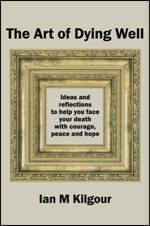 ISBN 9781501161544. Howard (2017). $33.00. [Allow 2-3 weeks]. “Is there a God? If so, does God care about us? Or is human life a mere accident of physics? For centuries, these fundamental questions have been integral to every culture and religion the world has known—and have not been answered, save by faith. When it comes to finding answers about how the universe came into existence, “God” is simply another theory. A theory that, many say, is no longer needed. In Proof of God, writer Ptolemy Tompkins (Publishers Weekly calls his writing “inspired”) has joined forces with internationally acclaimed astrophysicist Bernard Haisch to demonstrate that not only is God real, but that it is science itself that proves it. Structured in seven compelling chapters examining core features of our universe (Gravity, Mass, Energy), Proof of God blows up the misconceptions put forth by recent “anti-religion” bestsellers. Written in simple, easy to understand language, it shows believers that far from being an enemy of their faith, science is, if anything, its greatest justification. Above all, it is a deeply personal narrative about a scientist’s journey to understanding how God’s fingerprints are all over our universe. Followers of the Way: Ancient discipleship for modern Christians. Simon Reed. Pbk 160pp. ISBN 9780857465382. Bible Reading Fellowship (2017). $29.00. [Allow 3-4 weeks]. The Chronicles of Narnia — 7 book boxed set. C S Lewis. Pbk. ISBN 9780061992889. HarperCollins (2010). $88.00. [Allow 2-3 weeks]. The Chronicles of Narnia has captivated readers of all ages for over 60 years, enchanting them with fantastical talking creatures, epic battles between good and evil, and magical doorways into new lands. 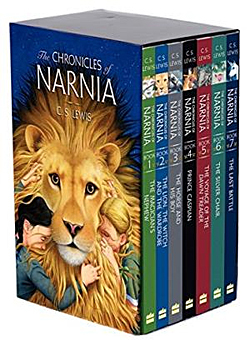 Enjoy The Chronicles of Narnia in its entirety with this paperback box set of C. S. Lewis’s classic fantasy series. The box features stills from the third Narnia movie, The Voyage of the Dawn Treader, and the books have cover art by Cliff Nielsen. This box set includes all seven titles in The Chronicles of Narnia: The Magician’s Nephew; The Lion, the Witch and the Wardrobe; The Horse and His Boy; Prince Caspian; The Voyage of the Dawn Treader; The Silver Chair and The Last Battle. Includes the original black-and-white interior illustrations by Pauline Baynes. La La La: A Story of Hope. Kate DiCamillo. Jaime Kim illust. Hbk 72pp. ISBN 9780763658335. Candlewick (2017). $39.99. [Allow 2-3 weeks]. This nearly wordless, graphic story follows a little girl in search of a friend. “La la la . . . la.” A little girl stands alone and sings, but hears no response. Gathering her courage and her curiosity, she skips farther out into the world, singing away to the trees and the pond and the reeds — but no song comes back to her. Day passes into night, and the girl dares to venture into the darkness toward the light of the moon, becoming more insistent in her singing, climbing as high as she can, but still there is silence in return. Dejected, she falls asleep on the ground, only to be awakened by an amazing sound… She has been heard. At last. 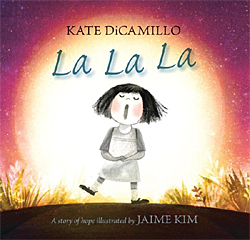 With the simplest of narratives and the near absence of words, Kate DiCamillo conveys a lonely child’s yearning for someone who understands. With a subtle palette and captivating expressiveness, Jaime Kim brings to life an endearing character and a transcendent landscape that invite readers along on an emotionally satisfying journey. For ages 4-7. Also click here for eBooks in Kindle, PDF & ePub formats. Also includes 6 Christmas poems by Peter Cape, Joy Cowley, Eileen Duggan and Shirley Murray. 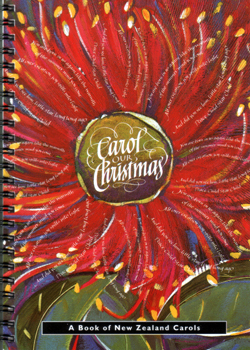 Click here for a list of carols/songs. 24 carols sung by Wellington adult & youth choirs. 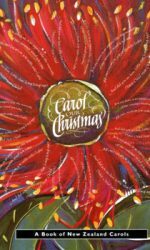 Click here for our list of Advent & Christmas worship resources, devotional and children’s books. Please note delivery times for books that are not in stock. They may not arrive before Christmas!